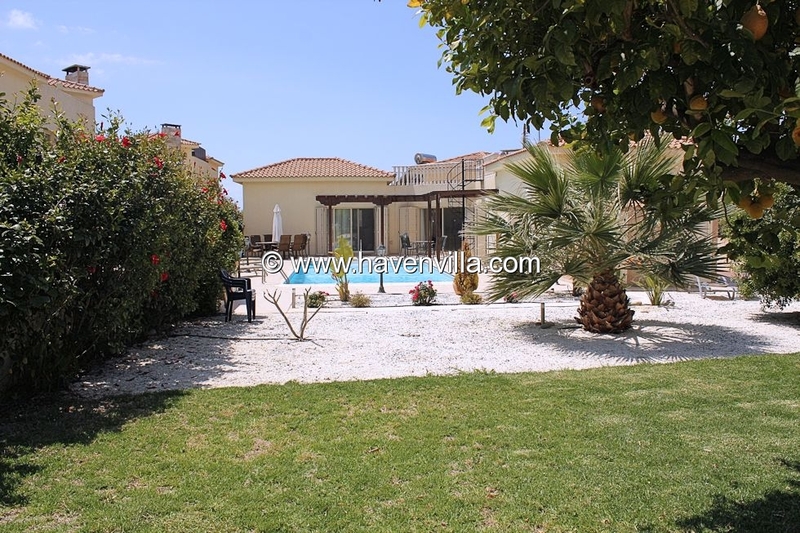 A nice and detached 3 bedroom holiday villa located 5 minutes walk from a variety of restaurants, bars and shops and 10 minutes from the Coralia Bay and beach. Ideal for non drivers and those wishing to be close to amenities and local bus route. 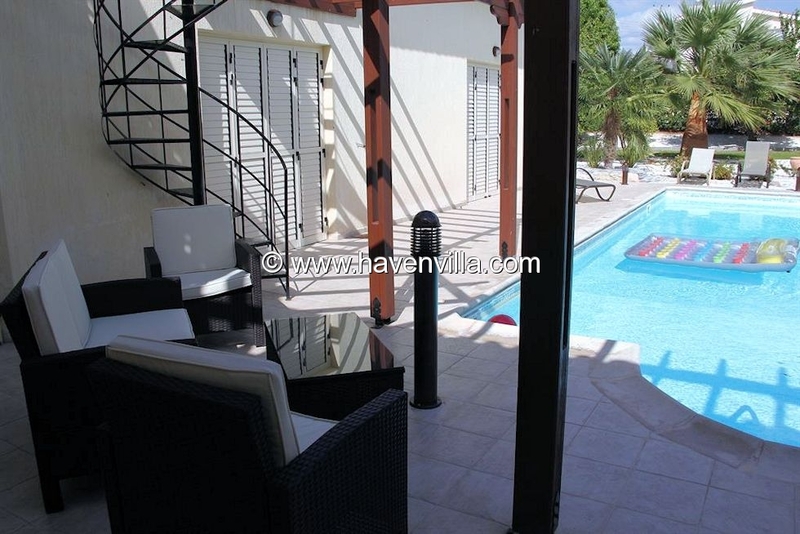 This holiday villa is set in a small private cul-de-sac and offers large gardens and private pool. 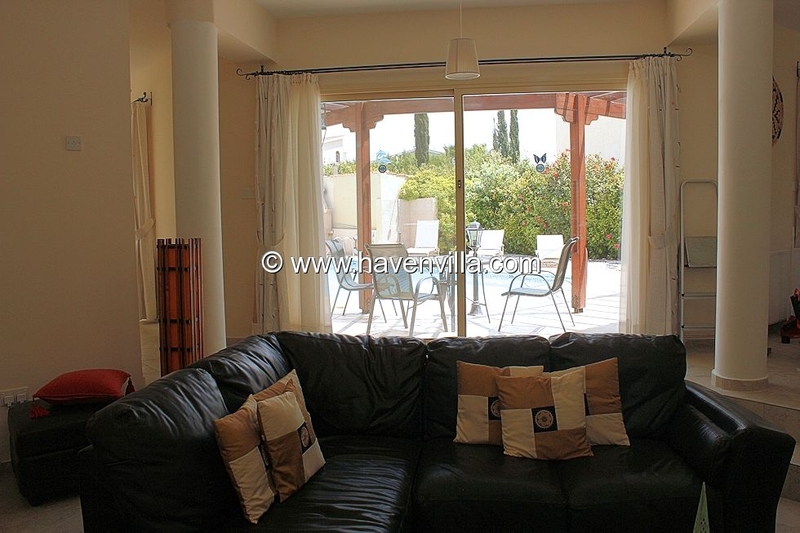 On entering the villa you will see a spacious sunken lounge and dining area with open fireplace. Comfortable leather sofas and coffee table. 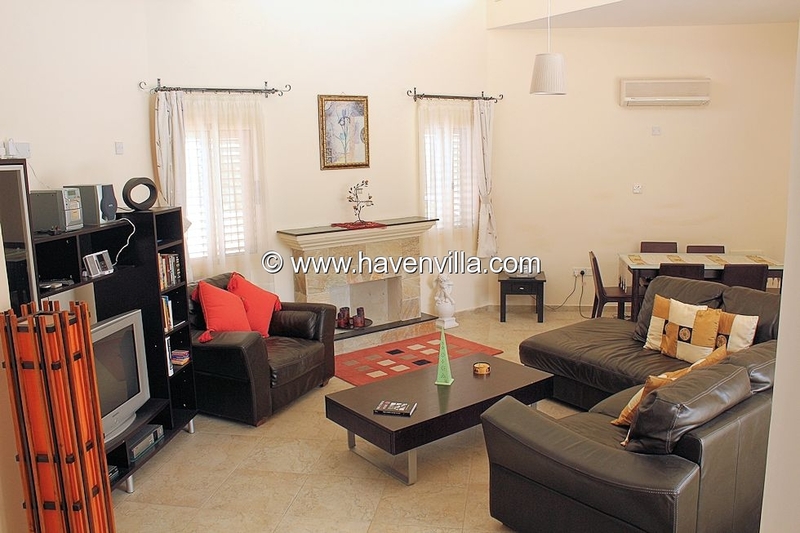 The villa is equipped with a flat 40" TV with English channels and films and a DVD player. Separate kitchen well equipped with all modern conveniences including a washing machine, dish washer, large fridge freezer, oven and hob , kettle, toaster. 3 bedrooms, two rooms with double beds and one room with 2 single beds. All the bedrooms are fully air-conditioned. On bedroom with en-suite shower and the other two bedrooms sharing a family bathroom with a bath. Separate toilet with wash basin. 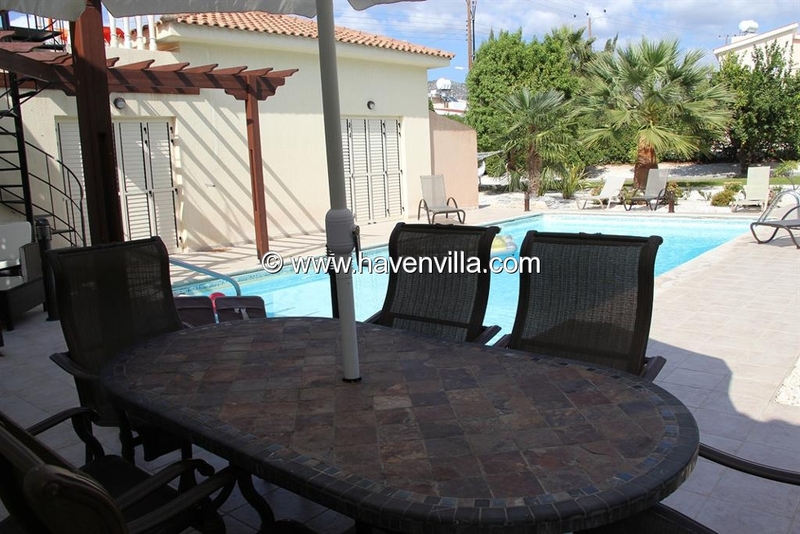 The highlight of this Cyprus Holiday Villa is the spacious terrace and pool area which offers a large private pool 10x5 meters with Roman steps into the pool. Garden furniture, umbrellas, barbecue, and sun beds are provided. 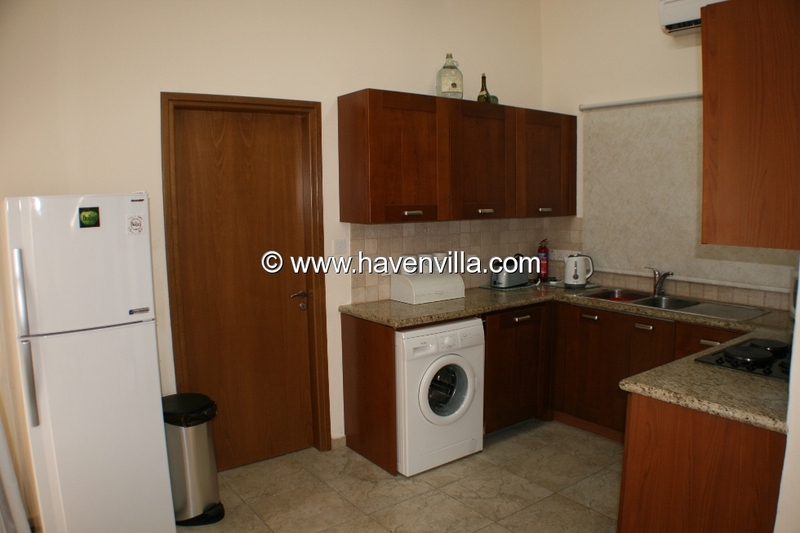 800 square meters of well maintained gardens with lemon and orange trees, tropical flowers and plants. 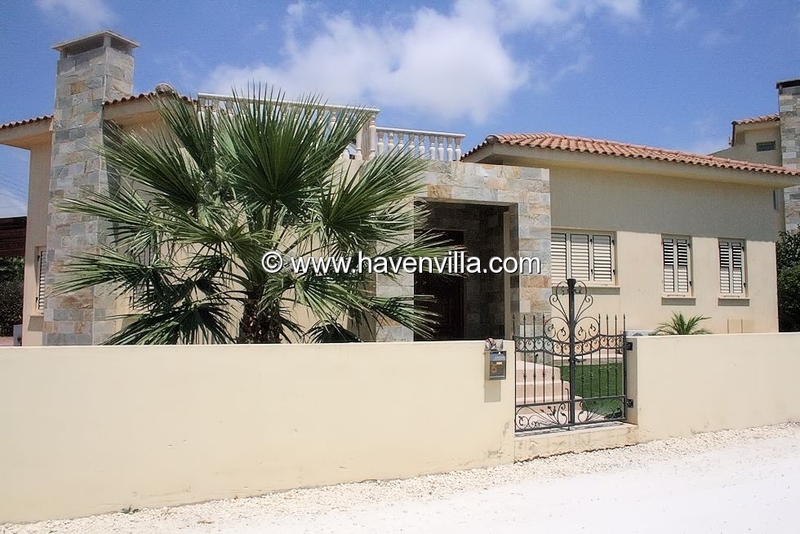 The villa is fully air-conditioned throughout which is included in the rental rate for your holiday in Coral Bay, Paphos Cyprus. There is a safe in the villa. Wi-Fi access available for FREE. Yes, we enjoy our holidays in your wonderful villa. 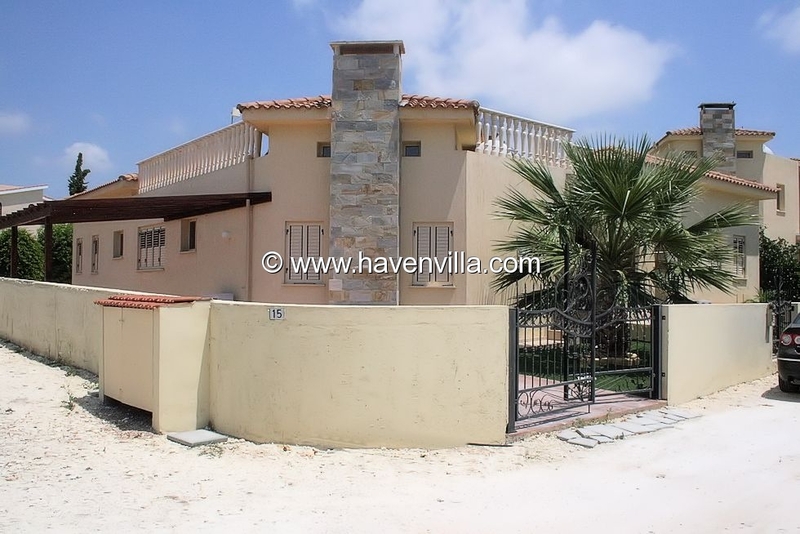 This is the third time we stay in Cyprus, but we have never before a villa like this. The house inside, the garden, terrace and pool are excellent. All things that we need are there and we feel very good. First of all a big thank you for all your help from start to finish re villa rental and while out in Coral Bay, first class service. It was also good to meet you. Taxi service excellent please thank Robert and his lovely wife. Also Andreas re transfers from Airport. 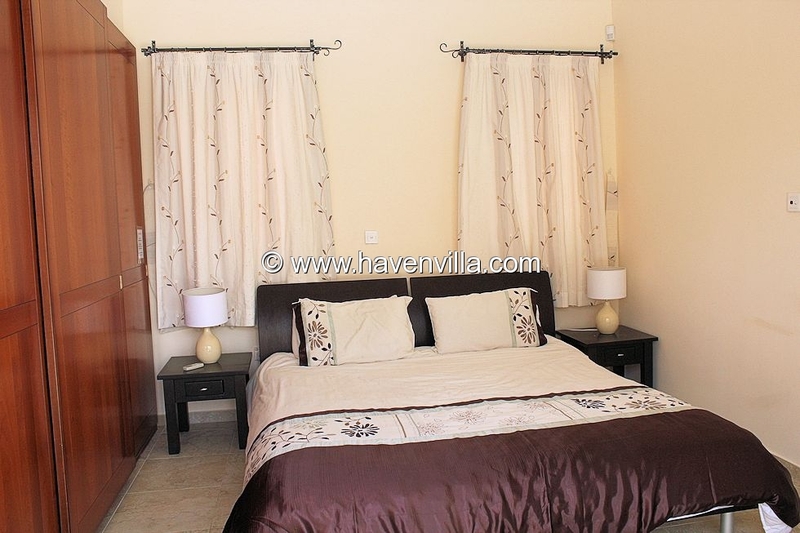 Villa 297, a really lovely villa, interior/exterior very clean, everything in good condition. Pool fantastic and kept clean. Had everything we needed to make our stay relaxing and enjoyable. Starter pack of food welcoming especially with late arrival. Walking distance from Villa to Corallia beach which was lovely has a great Bar/Restaurant also near to Coral Bay Beach Hotel/Supermarket. Thanks for accommodating us on our last day it made such a difference to end our stay in Coral Bay. We were amazed when we got to villa 297 it is such a lovely property.Very clean,no problem with bugs.Pool was fantastic and kept clean.Very nice interior with everything we needed.Would recommend a starter pack as we had to go straight back out again for something to drink but other than that a fantastic place to stay with lots of things to do very close by.Thank you. We just thought we'd let you know how much we enjoyed our holiday at the villa (property 297). We'd also like to thank you for letting us stay until later on Saturday - it made such a fantastic difference to the end of our holiday. Once again thank you for helping us have a wonderful holiday.